The Chicago Sky is 7-10 nearing the halfway point of the WNBA season. The Sky’s most recent win was against the Washington Mystics on July 1 in an exciting overtime battle that ended with a clutch jumper from guard Courtney Vandersloot. The Sky's Cappie Pondexter was recently honored as one of the Top 20 WNBA players since the league started 20 years ago. She received recognition and a standing ovation at the Sky game on June 21 and now has her own emoji on the NBAmoji app. Guard Betnijah Laney tore her ACL in mid-June and will be out for the remainder of the season. She recently had surgery on the injured knee and will continue rehab. There is no timetable on her return to the court. Rookie Imani Boyette's playing time has significantly increased from the beginning of the season. Coach Pokey Chatman contributes Boyette's success to her intense desire to improve her play and her speed as a post. She is leading the league's rookies in field goal percentage at 67.2 percent. Don't miss any Sky action on the U Too! 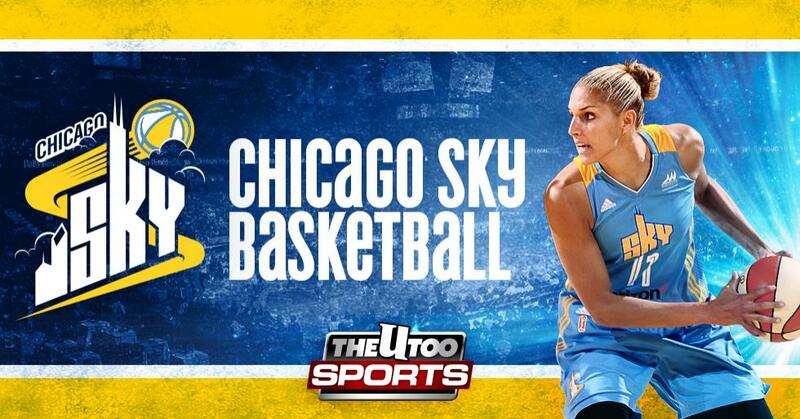 Check out the upcoming Chicago Sky viewing schedule, and find more information on Chicago Sky.